Moving to HTTPS has become quite the trend in recent months and is not just reserved for a secure section of your site, like payments or accounts but the entire site should be hosted on a secure protocol. Migrating your site to HTTPS has taken on even more importance in 2016 with Google is on the record as saying that using “https” in your URLs can give a site a ranking boost. HTTPS also lays the foundation for later migration to HTTP2. While the great migration call has been heard and some have answered not everyone has done it correctly. I've been privileged enough to be part of a few migrations myself or being called in post-migration because traffic has dropped. From my experience, I've found quite a few sites guilty of migrating to HTTPS for the ranking boost only to make fatal mistakes that hinder their sites growth. 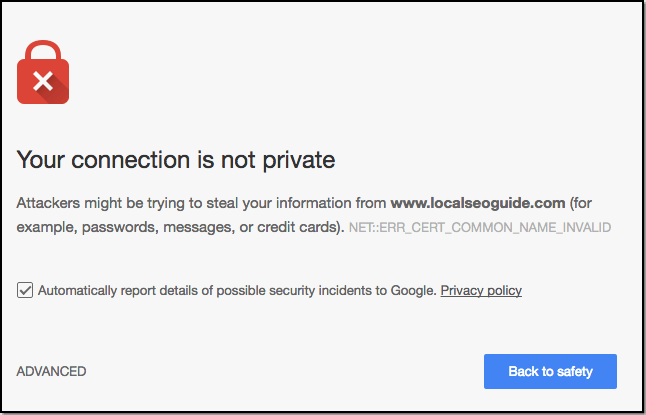 In the interest of the greater good, I've highlighted the most common mistakes and put together a list for SEO's and non-SEO's to use as a guide for HTTPS migration. Make sure you update all your canonical tags to point to the new preferred location. Sitewide duplication is a common result of an HTTPS migration, leaving both sites live is only going to further spread link equity and confuse and annoy the search engine bots. Consolidate all your URL's so all traffic is sent to one version by using a 301 redirect from HTTP to HTTPs. Select your preferred domain whether it be HTTPS www or HTTPS non-www and submit this to webmaster tools and set it as your preferred domain. Make sure all versions of your site are now pointing to the preferred HTTPS version. HTTP www, HTTP non-www and HTTPS not preferred should all be using a 301 redirect to point to the one you prefer. Update all your XML sitemaps, image sitemaps and video sitemaps to use the HTTPS preferred domain url. Make sure your entire site is migrated to HTTPS including assets that need to be loaded. All images, scripts, CSS that would be loaded into the browser need to be hosted on HTTPS. Make sure all your analytics and tracking accounts are all set to track on the HTTPS domain. Update all external plugins to ensure they are HTTPS compliant (commenting, widgets, twitter, facebook, youtube, all those embeds on your site. Use a site crawling tool to spider your site to check if all your redirects are working and all your HTTPS URL's are returning a 200 server response. What happens if I don't follow this list? You can now run multiple GTM containers on one website and give departments or external resources to have complete freedom on your website.